Founded in 1983, Express annually employs more than 566,000 people across over 800 franchise locations worldwide. Our long-term goal is at the heart of our company's vision, to help as many people as possible find good jobs by helping as many clients as possible find good people. 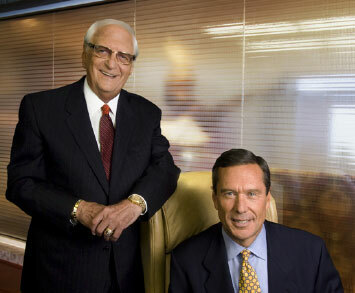 In 1983, Bill Stoller (right) Bob Funk (left) founded Express Employment Professionals with a determination to do business differently. Headquartered in Oklahoma City, Express is an Entrepreneur Franchise 500 company, was named one of Forbes’ Best Franchises to Buy and landed on Staffing Industry Analyst’s Largest Global Staffing Firms list. The staffing industry as a whole continues to be one of the fastest growing industries in the U.S. Entrepreneurs can learn more about our franchise opportunities at ExpressFranchising.com.